In this category you will find dispensers for the storage and the dispensing of gloves in various designs. Glove dispensers made from stainless steel, glove dispensers made from various plastic and wall-mounted box holders made from simple Metal wire: here you will find the glove dispenser for your personal needs. 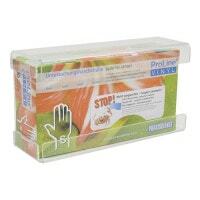 Examination glove dispensers are available for one to three packs of gloves. The three-box "Trio" glove dispenser is particularly convenient - it has been designed to accommodate the three most common glove sizes - S, M and L - at the same time. It is therefore suitable for mounting in a veterinary clinic where several veterinarians with different hand sizes use a single treatment room. The punched size guide on the right edge of the dispenser makes finding and storing gloves quick and clear. 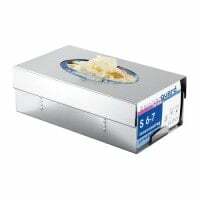 Glove dispensers are manufactured to fit all universal boxes and can also be used for packs of cleansing tissues if necessary. 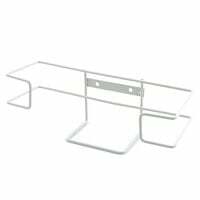 Buy glove dispensers to suit each room individually. 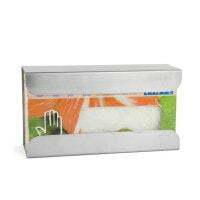 Purchase affordable box holders and glove dispensers made from different materials from Praxisdienst-VET!